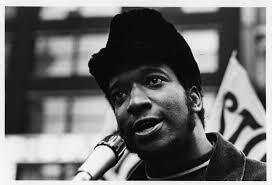 Here, Bruce Dixon of “Black Agenda Report” reviews a book on the history of Fred Hampton. Dixon worked closely with “Chairman Fred” in the last year of Fred’s life. His comments are important because they go beyond simply reviewing the book to talk about the importance of the life of Fred Hampton. Just as Martin Luther King, jr. was assassinated as he was linking up the struggle against racism with the class struggle, it was this as much as anything else that made Chairman Fred a real danger to “the system”. A sidelight in considering his murder was the role of police informant William O’Neal, who was also a Black Panther Party member in Chicago. Among other things, O’Neal provided the authorities with a sketch of the layout of the apartment where Hampton slept. This allowed them to go directly into his bedroom and shoot him as he lay asleep in his bed. It’s important to keep this in mind when we hear about government spying. It’s not about invasion of privacy; it’s about their collecting information to use against us – including frame-ups and outright murder if necessary.